When you think about Internet advertising you typically have banner ads in mind. You wouldn’t be wrong, but the tides are turning. 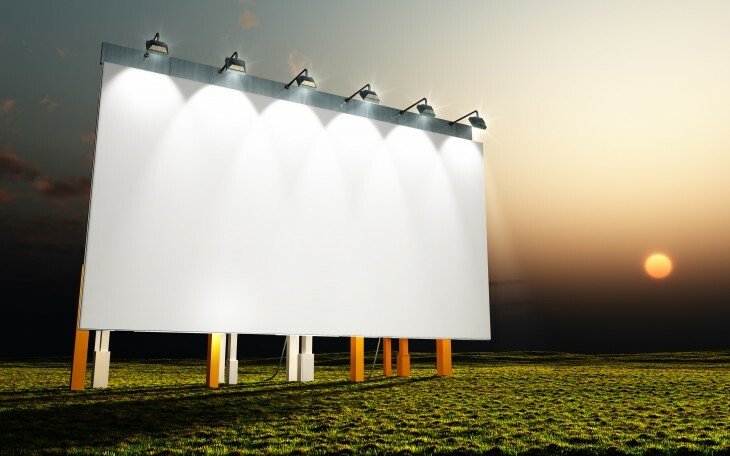 Advertisers are increasingly looking for more effective ways to reach audiences, and ad networks are feeling the pressure. Our own network, Federated Media, detailed in an email to us how it’s handling the shift. On background, it’s worth noting that Federated Media (FM) is one of the largest ad agencies in the world. comScore’s latest report places it at #6 in the US, which is in the range of Yahoo and AOL, with an audience of over 180 million unique visitors monthly. That is to say that FM is likely a good barometer of what’s going on in the industry as a whole. FM, like many agencies, has put some focus on direct-sold advertising in the past (yep, banner ads). In 2011 the company reports that these units accounted for 15% of its revenue. In 2012, that number decreased to 11% and for 2013 the projection hits ground zero as FM will be moving away from direct-sold media entirely. The direction? Conversational and Programmatic Media, with a projected 40/60 revenue split between the two. As FM’s founder and executive chairman John Battelle pointed out in a recent blog post, “If we don’t figure out better models for how to get the ‘content creator’ paid, we risk losing the oxygen that feeds the web ecosystem.” Until recently the idea has been that some sort of in-kind traffic driver would help sites to get more money for their display ads, but the entire system is breaking down, becoming overtaken by Programmatic Media. So what is it? Essentially Programmatic Media (PM) is a way for sites who have display ads running to keep them filled, while simultaneously offering demand-driven pricing to the advertiser. The transaction typically happens through a real-time bidding platform and, as FM noted with its acquisition of Boulder-based Lijit Networks in October of 2011, it offers a viable lifeline to both sides of the display ad equation. But if the display ad is dying, why not just move away from it entirely? For that answer we have to look at the market demand. For companies hoping to achieve top-of-mind awareness there’s still value to be had in having your name and/or logo in front of targeted users. It’s likely that we still have a good many years remaining where display ads will, in the course of a more broad campaign, still have a foothold on the Internet. That is too say that it’s too early to start typing the eulogy of the display ad market just yet, so companies are finding a way to do it better. Even if you’re not familiar with the terms, chances are that you’ve seen direct and conversational media in use. Direct media, in short, refers to “in-stream” advertising that aligns with the content of a chosen site. Twitter accomplishes this via sponsored tweets, Facebook via sponsored stories and some websites will run pre-written “advertorial” content, usually with a disclaimer at the beginning. Conversational Media (CM) is a bit more tricky. It aims to align an advertiser with a topic, rather than having the advertiser itself be the subject of the post. We happily and heavily use Conversational Media on TNW because it allows us to write the content ourselves, while providing sufficient visibility for the advertiser. You can check out this article on small business tech trends for an example. In essence, CM is content that we’d be writing anyway, but with a “brought to you by” statement at the top. So what’s it mean for the company? That’s pretty cut and dried – Say goodbye to direct-sold banner ads because they’re gone in 2013. In fact, FM has reduced its staff by 24 people who were on the direct sales side, and hopes to add at least 40 more programmatic positions in 2013. Though the cuts account for less than 10% of the company’s workforce they’re still notable because of being a direct relation to the end of an era. FM already holds the reins at one of the largest programmatic ad exchanges in the world, and the company is focusing directly on Programmatic, Conversational and Direct media by opening two new units that are directly responsible for the management of these positions. We’re not quite yet at the point where banner ads are gone for good, but we’re getting a lot closer. But when one of the world’s largest ad agencies says that it’s time to say goodbye, it’s worth sitting up and listening.